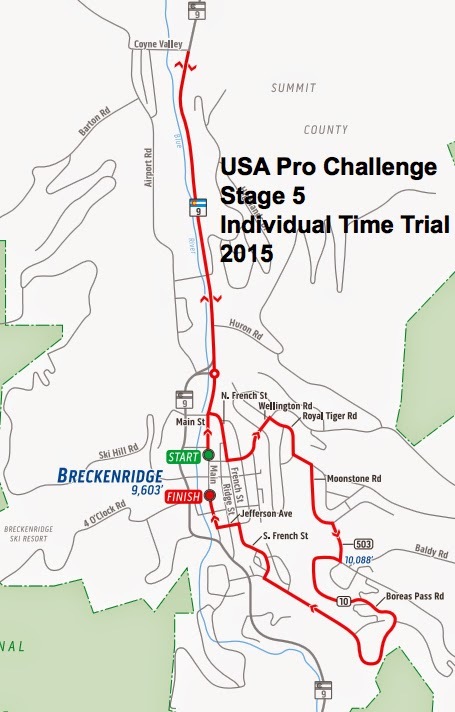 Where is the best place to see Stage 5 (and Stage 1 of the women's race) of the 2015 USA Pro Challenge as a fan? Today the answer is easy - anywhere. 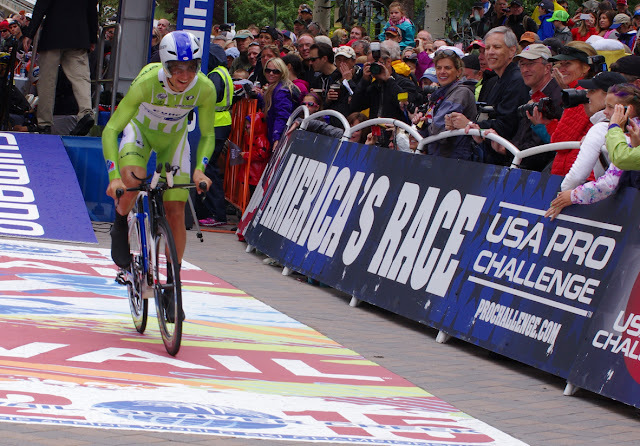 You will be treated to five hours of non-stop action during the Breckenridge Individual Time Trial. Fast bikes, fast racers, festival of vendors, activities, free concerts and all in a great mountain town. The women's Stage 1, begins at 10:50 am. The men's Stage 5, begins at 1:00 pm. 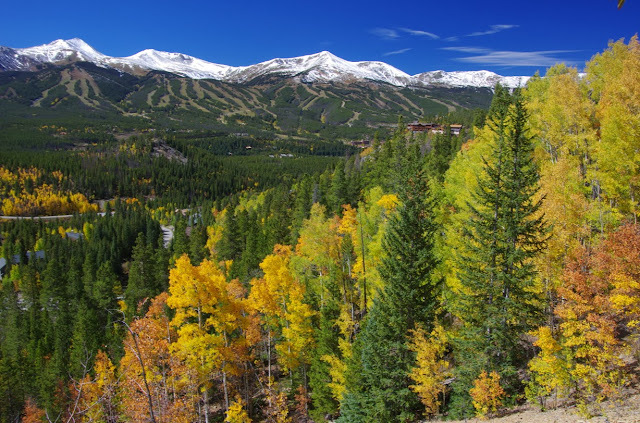 This easy one-page guide is intended to help locals and tourists better plan for watching Stage 5 in Breckenridge, Colorado. Find what you need to know about the USA Pro Challenge in Breckenridge, below in the following order: Stage 5 dates, stage information, start time, finish time, sprint location, KOM location, classification Jerseys, route map, climb profiles, race organization, city tourism, town websites, local events, road closures, VIP tickets, apparel, TV coverage, Tour Tracker app, media coverage, stage preview, recommendations, where to ride, results, current standings and photos. Nothing is better than hanging out along the road with a low heart rate and watching some of the best pro racers whiz by on a sleek time trial bike. Overall times will be within a four minute range for finishing times. Seconds matter in a time trial and this time trial has hills and descents at altitude with turns (and screaming fans all along the short route). Short, sweet, and oh will it ever hurt. The women's individual time trial will conclude prior to the men's start/finish, making an excellent opportunity for fans to see both the men and women race for equal prize money. 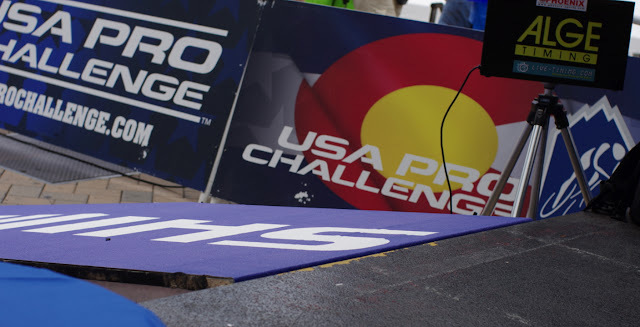 Sean Petty will serve as the Race Director for the Women’s USA Pro Challenge. The women will race for three days, beginning in Breckenridge, they will race the same course as the men. 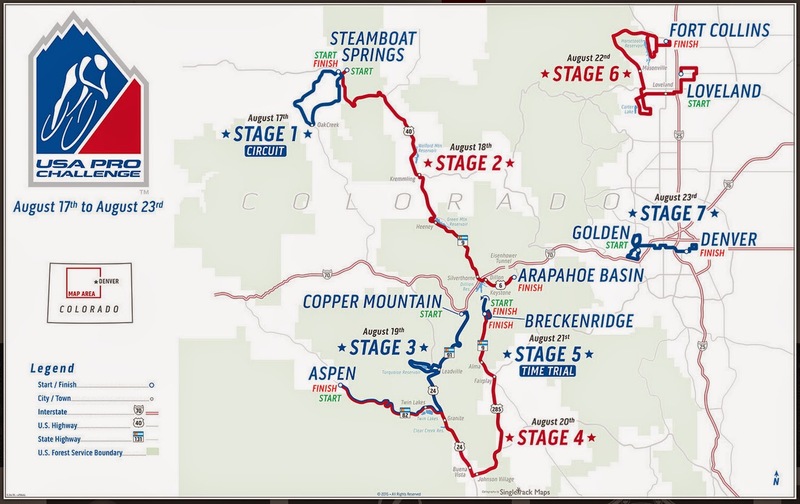 They will race a modified course the next day from Loveland to Fort Collins preceding the men. 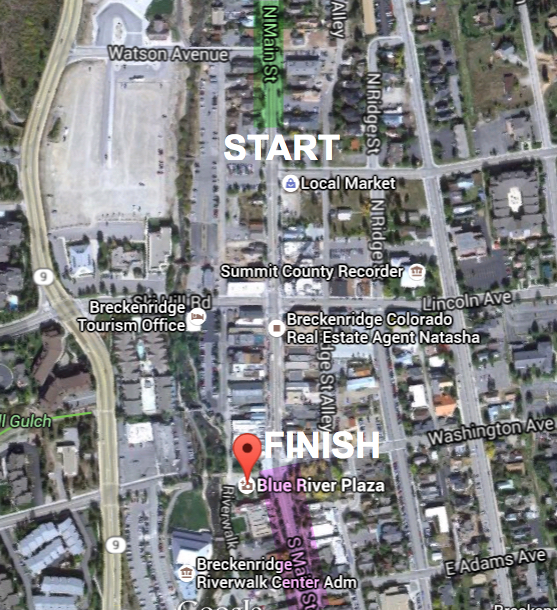 The final women's stage will be based in Golden on Sunday, where a fast criterium will demonstrate diversity and speed. How steep is Moonstone Rd? Downstairs at Eric's, Good for big parties, families and kids, quite dark downstairs but popular. Location111 South Main Street, Breckenridge, CO 80424. 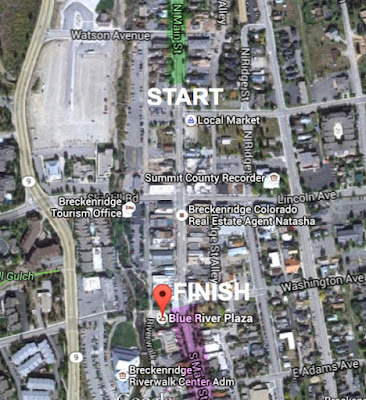 12:45 pm - Opening Ceremonies for Men’s Time Trial on North Main St.
Road closures and times, for Stage 5: CDOT (select by stage tab at the left). 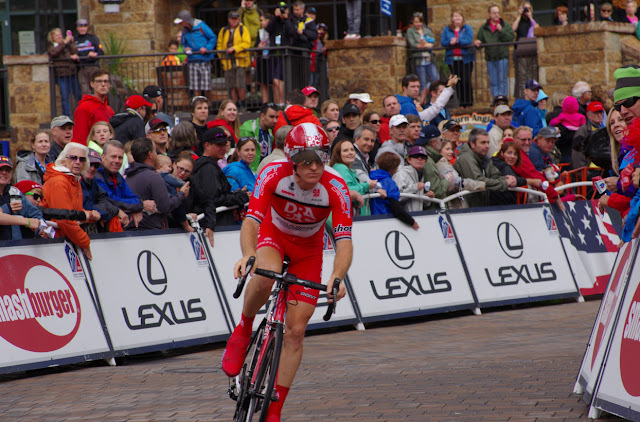 Complete list of road closures in town of Breckenridge: gobreck.com/events/usa-pro-cycling-challenge. Roads impacted: Highway 9, Boreas Pass rd, Wellington Rd, Royal Tiger Rd, Moonstone Rd, Jefferson Ave, Main St.
Full road closures in place: No traffic is allowed on the course other than official race vehicles. 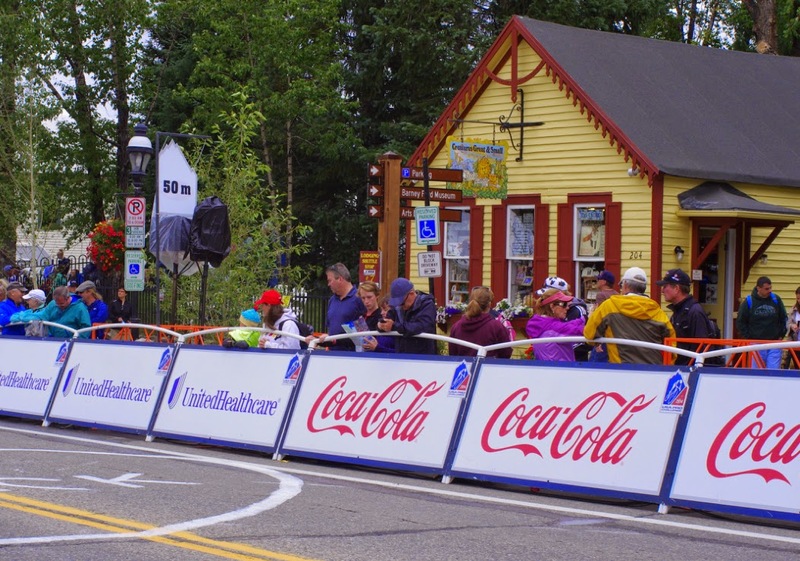 The routes of the Individual Time Trial on Stage 5 in Breckenridge will have full road closure (closed all of the time). This is to allow for a constant stream of cyclists along the route. There will be designated crossing points on the route supervised by volunteers or security personnel. Fast corner from Boreas Pass onto S. French Rd. The VIP tent will be in Blue River Plaza near the finish line. 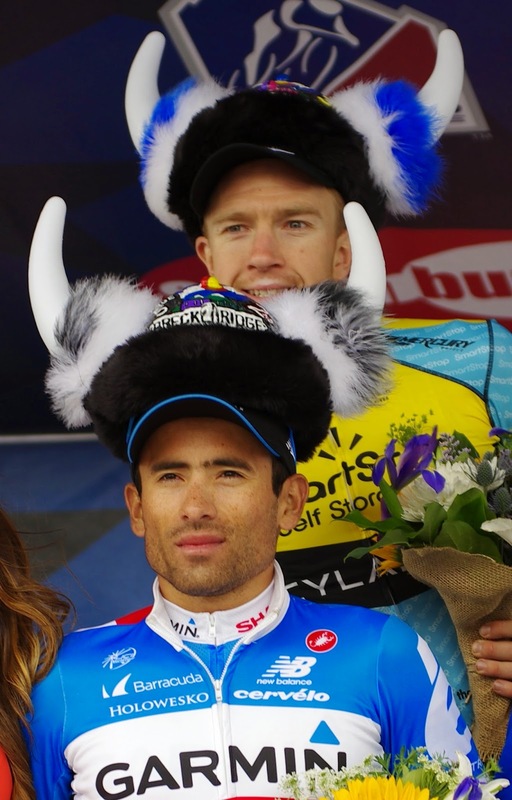 There are unwritten rules of cycling for fans as well as racers. 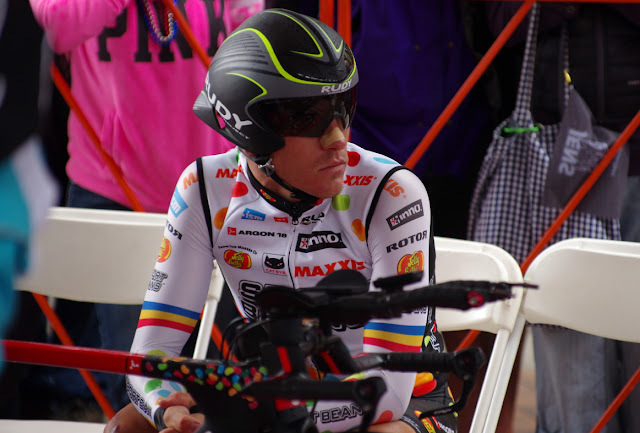 One of the unwritten rules for fans is that you do not call out or interrupt a rider while he or she is warming up on a trainer (bike on a stand) outside the team bus prior to his/her individual start time at the start ramp. This time is devoted to warming up correctly. Also never call into the holding area behind the start ramp. Please be respectful for the rider's process of psyching themself up to race his or her hardest during a time trial. Respect the rider to concentrate only on his gear, his start time call up and his mental readiness. 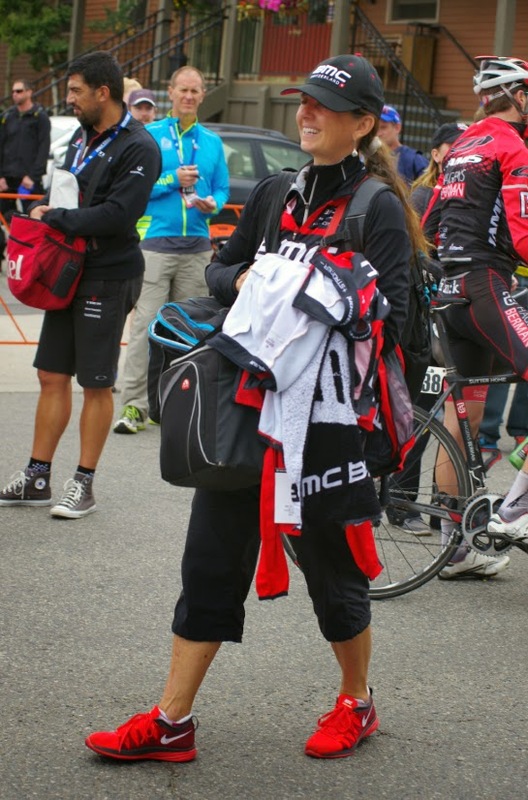 When it is fine to ask for an autograph at a time trial: if you happen to see a rider in his normal team clothing (pants and monogrammed shirt) upon arriving at the team bus prior to putting on his kit and warming up. Or if you see him/her arrive at his team bus AFTER their time trial is completed. Personally I would have liked to see Rohan Dennis wearing a yellow, green and red skinsuit, but he will share the spoils with others tomorrow. Pro Challenge Tour Tracker for laptop/destop, iphone, ipad, android devices. Tip #1: Bring an external charger for your phone because you are going to want to watch both your Tour Tracker app to follow standings, and track down your friends or family throughout the long day. This will be a stage where there will be A LOT TO SEE and you will be spread out across the events and course. 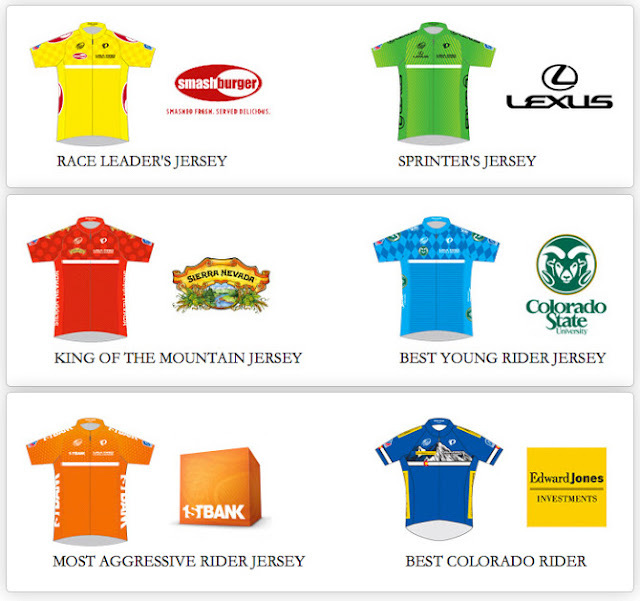 Tip #2: Pull up the start list on Tour Tracker to see which rider is coming next. 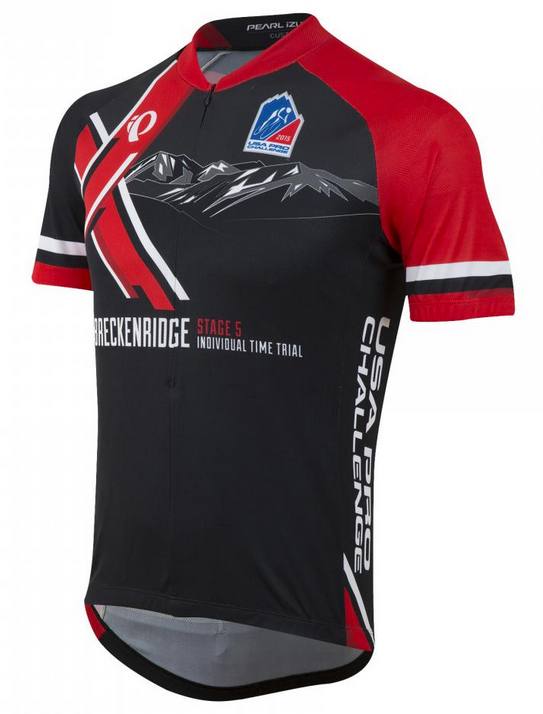 There will be some passing on even this short course, but once you see the team kit, you should know who is coming next. Cheer their name loud as they pass you! Tip #3: Take the time to really look at the bikes. The time trial bikes will be set out in front of the team buses prior to the start so that riders may warm up. 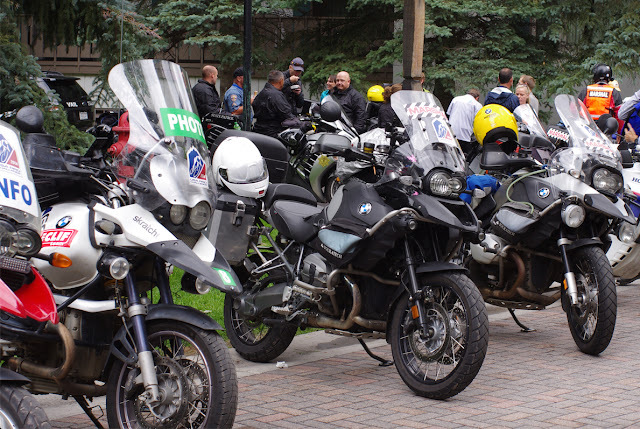 Don't disturb the riders, but do check out these fast bikes. Tip #4: Walk back and forth to both the start and the finish. Tip #5: At the start: Watch the names being place on the team cars as they line up to follow their rider. Watch the riders as they approach the start area (riding their bikes) and also then move so you can see their face while on the start ramp seconds before the clock signals them to begin. Tip #6: Be at the finish to see the time differences as they cross. The start order does not AT ALL reflect the rider's ability on a TT bike. Time trial specialists will be dotted throughout the day and will not necessarily all start at the end of the day. Tip #7: The start order for the day will be the reverse order of the General Classification standings after Stage 4 (the finish the night before in Breckenridge). 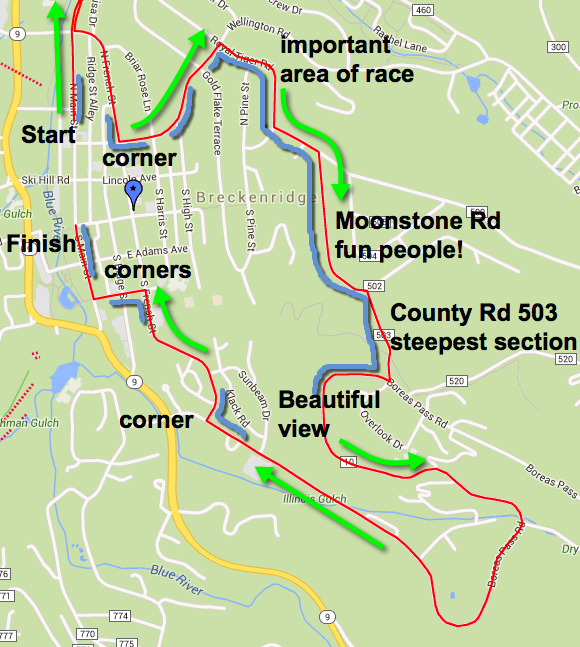 Racers will start at 1-minute intervals, with the last 10 riders starting at 2-minutes apart. Expect the racers and team cars to be very close to each other. Tip #8: I recommend staying over in Breckenridge, if possible, to see the finish of Stage 4 on Thursday, August 20th, and the women's and men's Stage 5 Individual Time Trial on Friday, August 21st. 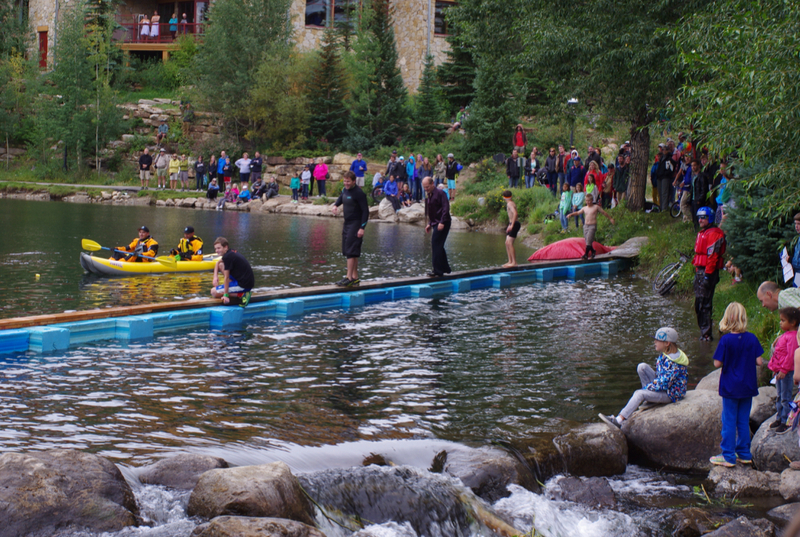 Pedal Dancer® Guide Pages help you have a better vacation in Colorado. Follow me on Twitter as I run around inside and outside of the barriers and tweet from the race as @KarenRake , see you there - Karen.